2. LM311 Voltage Comparator on-board. 3. Circuit diagram with explanation included. 4. 5 Amp relay included. 5. on-Board connectors for supply and otput. 7. Vey good light sensitivity. 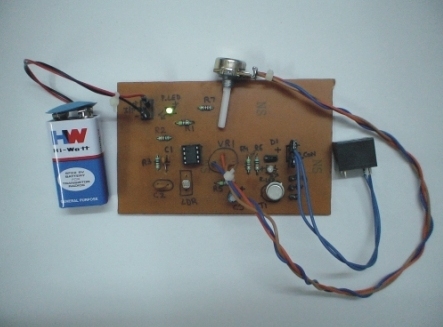 0 Response to "Light Activated LDR Sensor Switch Circuit using IC LM 311"